/ Made a New BFF in the Middle of Wedding Planning? Made a New BFF in the Middle of Wedding Planning? Congratulations, you’ve completed your wedding guests list. It is one of the hardest to-dos and getting it done in time is a great relief. During the planning process, you may have met new friends. More often than not, we ask if it is too late to include your new BFF in the festivity? Is it too late to invite your new BFF to the wedding ceremony? 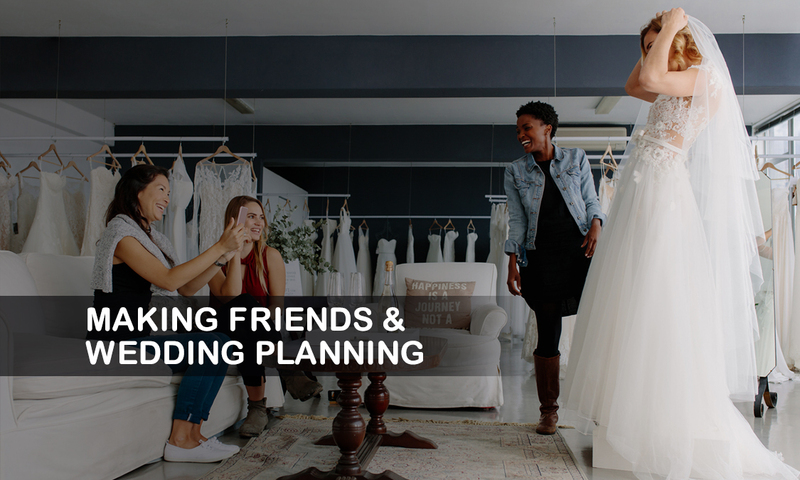 Whenever you find yourself with new friends as the wedding day approaches, you will want to include him or her in the celebration list. Besides, you might encounter during the process; they have got involved in many activities, so hand delivering an invitation card and adding them to the list is acceptable, provided your budget allows it, and there is still space. Let your new BFF know that you care and you want them to be there. Moreover, you need to give them enough notice so that they can prepare themselves for the grand occasion. What about the Bridal or Bachelorette Party? The same should apply to your bridal or bachelorette parties. Additionally, the hostess or host still can afford to accommodate one or more; then you can favor phone call or email instead of a formal invitation. It always works for last minute invites, and it makes anyone feel like it was not an afterthought. However, it is always good to know that, of course, there is a caveat. If you have been friends for awhile and you have just gotten close, then you need to proceed with caution. If the invitations have already gone out, you need to stick theirs through the mail as soon as you can. But, if the RSVP invitation is probably in a weeks time and they know about it, rushing to squeeze their names may raise eyebrows why they were not invited in the first place. Take the bold step and make that call on a case-by-base basis. Some friends will feel thrilled while others will be offended that they were not on the list all along. What about the Wedding Party or Ceremony? Nonetheless, no matter how close you might be, avoid the temptation of adding such a person to the wedding party, more especially if you have already settled on the bridesmaid and groomsmen, there’re few friends with whom you have known for a while, and they did not make it to the cut. So, we recommend you find another way of getting them involved if you so choose to. You may weigh them in to read the ceremony speech, or by tapping them to help you bustle the dress.